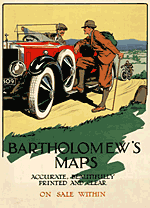 The Bartholomew Archive is the remarkable record of the firm, John Bartholomew & Son Ltd. Managed by the National Library of Scotland, it is one of the most extensive cartographic archives available for research in a public institution. 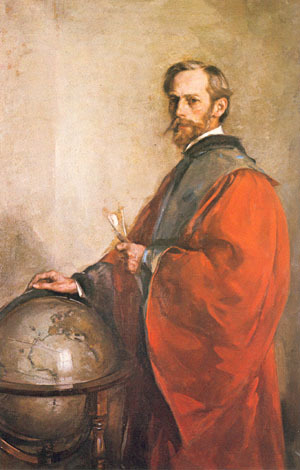 This portrait was painted to commemorate him receiving an honorary doctorate from the University of Edinburgh in 1909 and shows him in his robe with set of compasses and a globe, symbolising his activities. National Portrait Gallery, Edinburgh This website is dedicated to the Bartholomew mapmaking family and its story in text and pictures. The public part of this site provides links and resources for researchers who share an interest in the history of the family company, John Bartholomew & Son Ltd, the cartographic tradition and the people behind it. The content of this site borrows editorial material from many publicly available sources. Where possible, these have been acknowledged. The privacy of living individuals has been intentionally preserved. By the late 18th century the city of Edinburgh was well established as the centre of Scotland’s flourishing publishing industry. 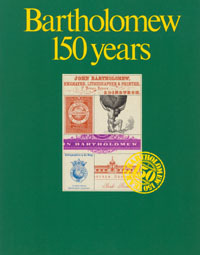 Without doubt, one of the companies responsible for this enviable reputation was John Bartholomew & Son. From humble beginnings the Bartholomew firm became the world’s pre-eminent publisher of maps and atlases, carrying for many years the title of Geographers and Cartographers Royal. It was George Bartholomew (1784-1871), an engraver with Daniel Lizars of Edinburgh, and the first of six generations in the Bartholomew map-making dynasty, who initially set the Bartholomew family on the road to cartographic fame. However, it was his son John Bartholomew Senior (1805-1861) who really established the reputation of the Bartholomew firm. Note: The website for John E. A. Bartholomew Consulting has been relocated. Click here for new homepage.